The new revenue recognition standards (ASC 606/IFRS15) are pretty massive global accounting changes requiring significant resources to simply check the compliance box. No matter how you approached ASC 606 implementation you have to be thinking about what to do with all of this data which you can now access. The FASB’s aim of increasing comparability amongst companies irrespective of size and industry is being realized. But what now? You have all of this data, what do you do with it? FASB's comparability intention has resulted in a much wider impact to processes and systems in every corner of business. It will take some time for things to settle down. But when you are settled, you can do great things with the data you now have at your fingertips! 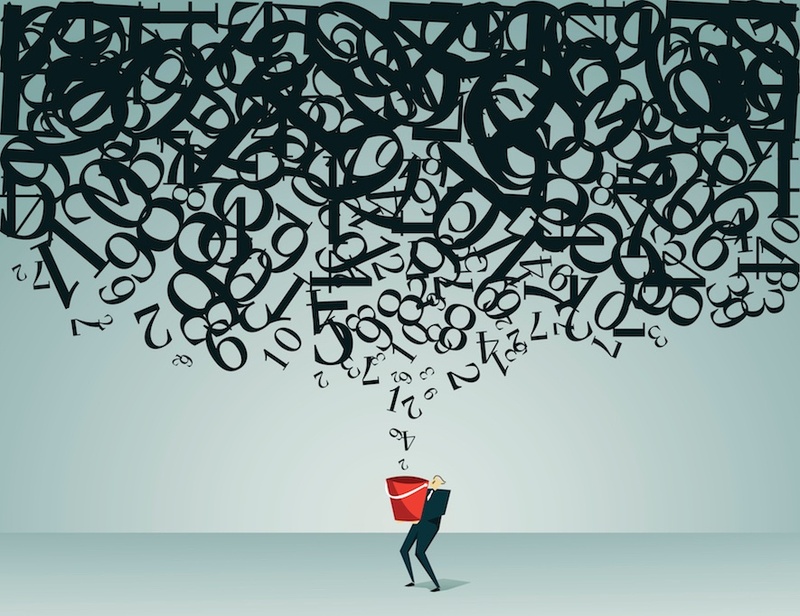 Here are six ways to leverage the data you have as a result of your ASC 606/IFRS 15 compliance efforts. If you have implemented any kind of automated solution you should have some easily accessible rich data which you can use to inform and educate the rest of your business. With the regulatory box checked, you should start to think about leveraging this data. Begin to really look at your business processes, from contract to full revenue management (C2RM). This is the opportunity to break down your process, plan your revenue approach and generally improve the quality of your business insights. Now that you're not pushing up against a deadline, extract informative data that will benefit teams outside the CFO office like sales operations, sales accounting, product marketing, pricing, FP&A and more. If you have used brute-force excel models – don’t worry. There is a path to step back and take the leap to an automated solution. Trust me you probably have a better feel than most for your source data, and what is driving the revenue impacts. Hopefully in your compliance efforts you were able to automate previously manual tasks like certain calculations and the creation of journal entries. This is good news as now you can use your best assets – your people – for more value adding tasks. People are not best utilized as number crunchers. Use machines for that and let your people dig into the true revenue management challenges. This is an opportunity to tackle business transformation by using revenue data to inform decision making today and in the future. 3. Trust your data to help you pivot. With all of this new data to collect, it makes sense to automate your day to day functions – revenue calculations, accounting entries, revenue close and reconciliations etc. The advantage of an automated revenue management system is that you can quickly access trusted data in order to justify your approach and business decisions. The quicker the business can access a single source of trusted, real revenue data that the entire business can agree on, the quicker they can pivot and react to business change. There are some real benefits for product marketers who can access the new granularity of contract data we now collect under ASC 606/IFRS 15. Today’s focus on product personalization in the B2B and B2C markets means that companies are regularly generating new ways to sell products or introduce new marketing campaigns. From telcos like T-Mobile to software and SAAS companies like VMware and Intuit, every few months sales and marketing come out with new bundles and packages. That's a rapid change for the finance team. Now imagine if the revenue team could be involved in the product marketing discussion from the outset. Using data to forecast the potential performance and ongoing success of each product bundle from a revenue point of view could really maximize earned revenue for each period. When finance provide product marketing with access to revenue data they can now define a go-to-market bundle, price it out, and then actually analyze the revenue projection. In a revenue management software application, like RevStream, you can see what the revenue trends are going to look like under one scenario versus another. Adjust the numbers and actually develop a scenario before going ahead to market. You can move pretty fast in analyzing what the trend is rather then come in with a surprise. That’s powerful! With now visible revenue recognition schedule into the future, sales operations can see and understand trends and product performance. For example, product A, B and C did really well in Asia but not so well in North America. The way a deal was structured and how products were discounted can be fed to sales operations and product marketing. This is easily initiated by the finance team and can quickly add value to the organization. It’s time to send this rich data out to the whole business. Meeting regulatory compliance requirements is a check you have to make but your system should do so much more than just checking a box. Ask yourself, do I have a good feel for what my revenue number is today and what the forecast is going to look like before the end of the month? With a true revenue management solution, you can start to see things a little bit more clearly - and see it in real time. You can deal with things by exception, rather than by reviewing or completing every calculation. For companies that are still trying to operate without an automated revenue recognition system, they have realized the pain of being on disparate systems, and it is just hard work. Broaden your vision beyond, ‘I need to go get a software solution for compliance.’ Today’s revenue recognition tools do a lot more than that. By complying with the new revenue standards in the right way, you can access the business data you need to drive your business. What’s stopping you? See Rajiv Chopra's Keynote address for more on revenue management and the Modern CFO office.